Pedro de Peralta Barnuevo (1664-1743), a writer of early eighteenth-century viceregal Peru, believed that his epic poem Lima Fundada (1732), in tandem with Historia de España Vindicada (1730), were his crowning literary achievements. His instincts have proven correct. However, in spite of the fact that Lima Fundada is Peralta’s most cited work, it has not been published in its entirety since it appeared. For the first time in more than 280 years, Slade and Williams have edited the entire poem, including all of its original paratexts, introductory compositions, prologue, footnotes, marginal notes and index. 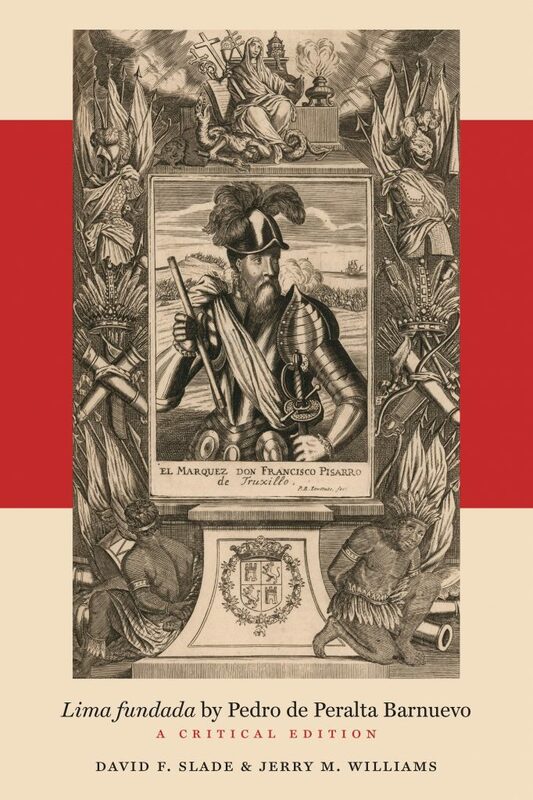 Lima Fundada by Pedro de Peralta Barnuevo: A Critical Edition recounts the founding of Peru’s capital city by Fernando Pizarro, a hero that gives shape to a conflicted discourse about colonization and empire. Lima fundada is implicitly about criollo identity, history, and power in the face of a hierarchical system that gives preference to the Peninsular-born. The text is a complex history of the conquest in which a cast of nations, empires, rulers and peoples join to create Peralta’s vision of Peru, while celebrating creoles as the true inheritors of the city’s heroic founding.